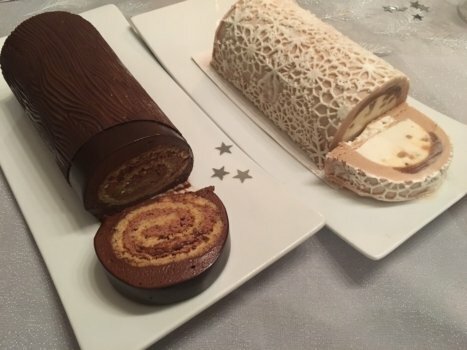 Home > French Blog > French Culture > Xmas in France: Christmas Eve or Christmas Day? The Christmas meal in France is called “le réveillon de Noël” and usually takes place on December 24th. But, things change and now, many French families have their traditional Christmas meal on December 25th. Here is why. Should you be invited for a Christmas meal in France, the first thing to check is… the date! It could very much be on December 24th or December 25th. This is confusing… even to the French! So let’s try to figure out what day the typical French Christmas meal is… A clue: it’s usually not in May! 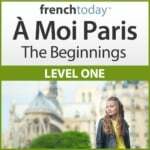 It all starts with what the French call “le Réveillon” (from the French reflexive verb “se réveiller” – to wake up) because people stayed up to go to the late Christmas mass. And really, that is where the problem started. In very religious families, the supper could be very simple, actually bordering fasting (so a vegetable soup or something like that) to remember that Jesus was born in poverty. That’s easy, no Christmas feast for these French families. Yet, traditionally, the French just love a good meal… So many families would have a huge dinner after the mass… So quite late in the night, this time to celebrate the birth of Jesus! This was maybe possible in the old days, but now it’s really not practical. So, religious French people started to have their Christmas dinner before the mass. And a lot of people still do – mass or no mass – hold the traditional Christmas meal in France on the 24th in the evening. So more and more, French people celebrate Christmas on the 25th, with a late lunch (kind of like Thanksgiving in the US). First we have a drink of Champagne and some finger food as we open the presents, then a long, delicious, scrumptious French Christmas meal. the second, the fancier Christmas meal on December 25th, because it’s convenient. This is what we do with my husband’s family. December 24th is usually a simpler meal: finger food such as foie-gras on toast (we often call that “des canapés” – which is also the word for sofa – I know, weird! ), maybe some smoked salmon toasts (my father in law smokes salmon himself… so we eat a lot of it around the holidays!! ), maybe some fancy French charcuterie… But still rather simple. And we usually open the presents that evening too. It’s not typical, but it works better for us this way. Then the fancier Christmas meal on December 25th. I do know other families that do the same, so it’s not unique to Olivier’s family. 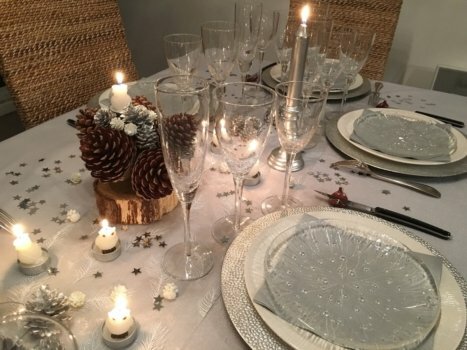 It’s really not rare for couples to have two Christmas meals either: they would spend Christmas eve with one family, Christmas day with another one… Hence the two meals for Christmas in France. So if you are invited over for “le réveillon de Noël“, the first thing to check is… what day it is! Although “le réveillon” should refer to Christmas eve, it’s common to use this word inadequately to say the Christmas meal, which as we saw can be held on the 24th or the 25th of December :-) Confusing, right? You thought this was over, but you have not heard about La Saint Nicolas – I wrote an entire article about it should you want to know more about the French Santa Claus. 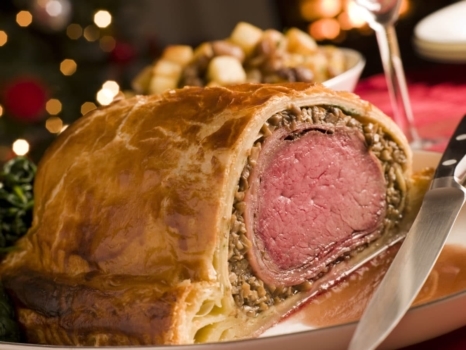 In my family, which is from Alsace-Lorraine, it’s the tradition to have our Christmas dinner on December 6th. My family is not religious at all, so to avoid conflicting Christmas dates with the in-laws, my parents just decided that Christmas at our house would be celebrated on Saint Nick’s day. Saint Nicholas is the one who brings the presents to kids in Alsace-Lorraine and many other western European countries… So it does make sense to have a family gathering that day, since my family didn’t feel the particular need to celebrate the birth of Jesus. Ok, Saint Nick is a Saint, so it’s link to religion, so it makes no sense. I admit. Still, very convenient! What about you? In your country or family, do you typically celebrate Christmas on December 24th or December 25th? Leave a comment below – I love reading comments and they do encourage me to write some more. And now, it’s time to practice your French and see all these French Christmas traditions come to life in the fun bilingual dialogue I wrote to introduce you to Christmas in France. I even recorded it for you as a holiday gift! Joyeux Noël et joyeuses fêtes de fin d’année!